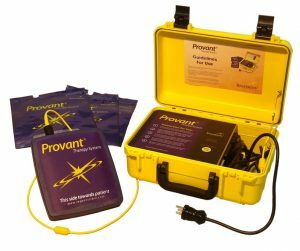 Provant provides non-narcotic treatment of postoperative pain and edema. Patients can self-treat at home, with simple twice daily treatments. 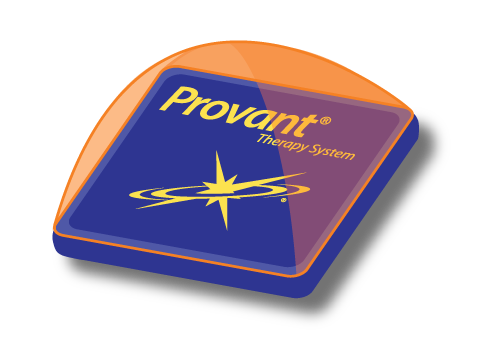 Patients place the treatment pad directly against the area they are treating. ANTI-NOCICEPTIVE ANALGESIA: by inducing endogenous opioids (endorphins, enkephalins, dynorphins), which turn off pain signals at the nerve ending. ANTI-INFLAMMATORY: by up-regulating anti-inflammatory mediators, and down-regulating pro-inflammatory mediators; these include cytokine and edema related genes.